Immigration in America is a complex issue. And as with any worthwhile goal, securing your citizenship requires a lot of work. You'll face many obstacles, and potential pitfalls, but being educated about the process is the first step toward getting what you want. The Reverend Luis Cortés Jr. has developed this simple guide to lead you through the complicated web of bureaucracy and to answer many of your questions. 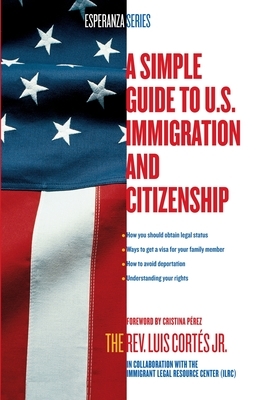 For example: What happens if you're in the United States without papers? What could prevent you from getting a green card? What are the different types of visas? You'll also find "Warnings" to protect you from fraudulent offers and the risk of deportation. Most important, Cortés informs you of your rights, because whether you're a legal immigrant or not, you do have rights.